The wait is OVER! 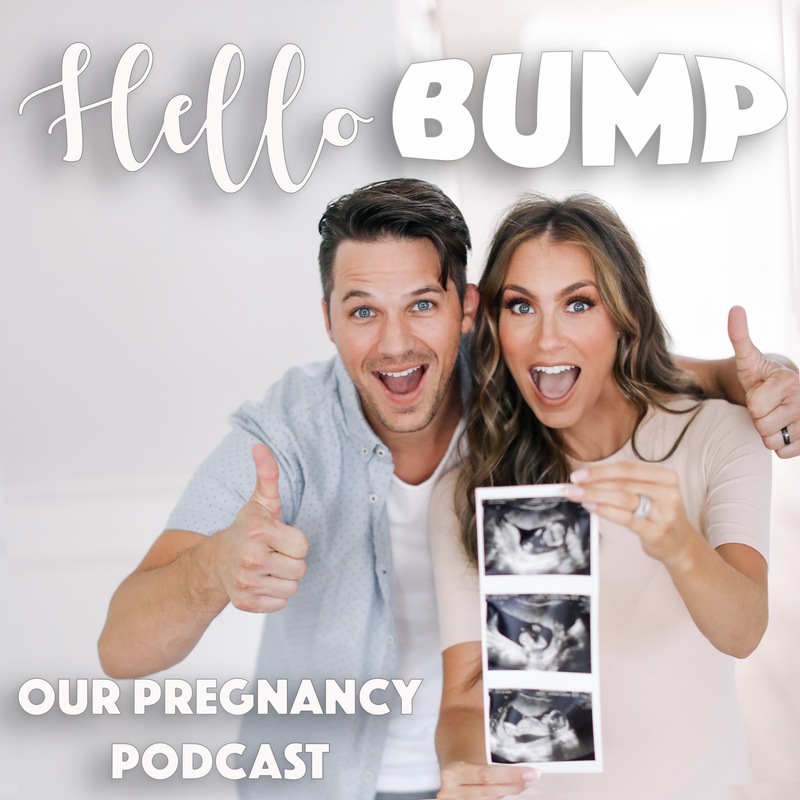 We’re finally revealing Baby Lanter’s gender today on Hello Bump Podcast. Honestly, I’m just really proud of myself for keeping this secret as long as I have, lol. I’ve slipped to so many people when talking in person, so I had to try REALLY hard to watch my words when talking on Insta-stories. I have so much adorable baby stuff I can’t wait to show y’all! Be sure to follow me on Instagram here and also Hello Bump Podcast on Instagram here, because I post videos and photos to our stories to show the new baby products as they come in. While we’re on the topic of baby products, since a lot of you miss my Insta-stories (they expire in 24 hours) would it be something you would be interested in if I kept a page of my incoming products I talk about on Insta-stories here on my blog? 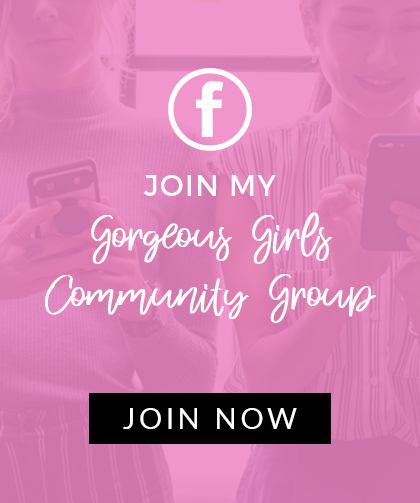 I talk about a lot of different beauty products, baby items, recipes, etc. on my Insta-stories and I’m wondering how many of you would like to see me figure out a way to include that info here on the blog? That way it’s easily accessible after the story expires on Instagram. If this is something you’d like to see me do, please leave a comment below and let me know. I want to be sure that I’m making everything as easy as possible for my Gorgeous Girls. I posted these photos last night to take a poll about what y’all thought I was having. I personally love the gender guessing game based on the way the mama is carrying, so I thought I’d let my Gorgeous Girls in on the fun. I just wanted to say one more time, thank you again for joining us on this journey. We’re having so much fun creating our weekly podcasts and sharing them with each of you. If you’re also enjoying the podcast, please take a moment to rate and review us on iTunes, so we can continue to climb the charts. ? Yes to the Insta Story products posted here, please! Yayyy! Omg I’m so excited for you guys! 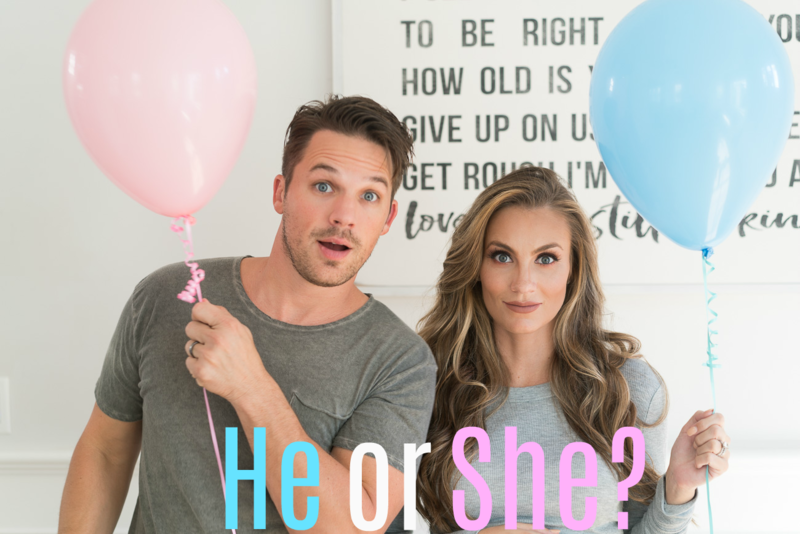 This is making me want to find out my gender so bad but I’ll stay strong lol we already have 1 boy and 1 girl so this is the tie breaker and we’re so excited to be surprised at birth. Oh my goodness you guys will have so much fun with a girl. My daughter is my absolute best friend, especially since we live in Cali and everyone lives back home in Ohio. It’s just me and my girl ? congrats again you guys! Ahhh!!! I totally thought boy… but I’m never right. I have one if each and my girl is a total diva and full of sass. She’s a total daddy’s girl and a tomboy and a girly girl. I love to dress her in all things girly… get ready for sparkles and glitter!! Oh Matilda Jane is are favorite line… and I love to shop online and for target lovers cat and jack has the cutest line of clothing. Anyway I am beyond excited for y’all!! Thanks so much, Jessica! We’re so excited!! Yeah congrats! That was my guess for you, after following along all your symtoms. I’ve had a boy and girl and the symtoms were so different for each. Congrats!! My name is Angela too, and I’ve been following your blog for a while because we have the same name, haha. I recently found out that I am pregnant, so I have been loving your podcast!! It’s been a great “what to expect that no one ever tells you” so thank you!! Yay! We’re not only name twins but pregnant twins, lol!! Congrats, mama!! I’m so excited for you guys! I was hoping you would have a girl! I am loving the podcast and can’t wait for more. Posting your insta-stories on here of recipes and hacks would be great! OH A GIRL!!! Congratulations! Something changes in men when they have a girl. My husband has already said that Molly isn’t dating till she is 40 lol. We will see on that one lol. Can’t wait to see pictures of her, she is going to be beautiful! Haha I’m sure Matt will be the same way! Thank you! !